Announcements Need help with soccer parents? 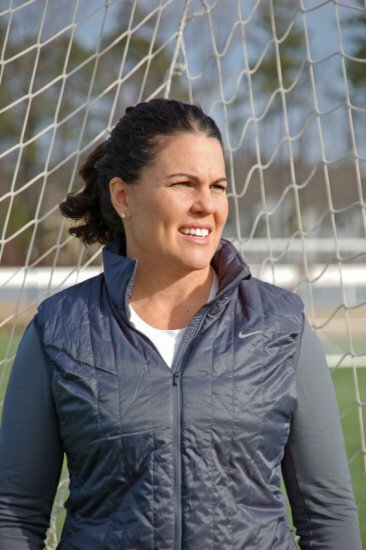 Challenger Sports has teamed up with soccer parenting expert (and former SoccerPlus coach) Skye Eddy Bruce to help our partner clubs deal with one of the most important issues in the game - PARENTS! I founded the Soccer Parenting Association (Soccer Parenting) to improve youth soccer by empowering parents to help their child’s soccer experience be inspiring. In addition to being a youth soccer parent myself, I am also a youth coach, a coach educator for United Soccer Coaches and the Changing the Game Project, a Board member, and a former top level player. I have had amazing coaching mentors, the most significant being Tony DiCicco – who sadly passed away in 2017 – and was a member of the Challenger Sports family as the founder of SoccerPlus Camps. In my many years as a Staff Coach and Director for SoccerPlus Camps, Tony taught me that a young player’s experience with sport can transform their lives and is a vehicle for gaining life skills, confidence, and developing character. Soccer Parenting actively works with parents, coaches, clubs, State Associations, and national level leadership, building stronger relationships and establishing new norms around the concept of Parent Engagement, thereby improving the youth soccer experience for players, families, coaches and referees. Parent Engagement can be a confusing proposition because for many years the messaging has been that Crazy Soccer Parents are too involved, they are ruining the experience for their child, and that parents need to back off and let their kids be kids. This is true for Crazy Soccer Parents. But what I also know to be true is that the vast majority of soccer parents are NOT crazy – they are Level Headed Parents who are sometimes stressed. It is here, for Level Headed But Sometimes Stressed Parents (is that you? ), where we need to establish new expectations for the coach-parent relationship. As parents, we want our children to thrive and we know this doesn’t mean they will always make the team, or that they won’t make mistakes or struggle. We realize that many of the life lessons we seek for our children through their soccer participation are learned in the struggle. We want our children to develop a love of the game that will inspire them to continue playing, learn, be active, and healthy regardless of their athletic potential or prospects for a college scholarship. That being said, we want our children’s youth soccer environment to be exceptional. I established Soccer Parenting because my daughter’s experience with soccer was not exceptional. Her love of the game was slowly diminishing because the quality of her training environment was not good enough, and her coaches were not knowledgeable and engaging. Because of my experiences as a coach and player, I knew her environment could be much better – and I knew that solving our youth soccer problems had to start with coaches and parents working together. Many soccer clubs, coaches and organizations such as Challenger Sports are embracing the work I am doing and getting involved with Soccer Parenting because they too see the importance of engaging parents when it comes to improving our youth soccer culture. Parent Engagement is when everyone works together to ensure players are inspired. Just as the PTA improves our schools, the Soccer Parenting Association is improving our fields. Parent Engagement has many components such as establishing club values, providing coach education around building connection with players and parents, developing club-wide complaint procedures, providing player evaluations, improving sideline behavior, and parent education. There are two specific ways you can engage with Soccer Parenting. First, join the Soccer Parenting Association to support our efforts in advocacy and social messaging. Second, become a more educated soccer parent through a membership at MySoccerParenting.com. Parents have joined individually and Clubs all over the country have become Club Members at MySoccerParenting.com. It is a constantly expanding Parent Education Platform I have created that solves on aspect of parent engagement: parent education. In my work with Soccer Parenting, I travel the country speaking to parents about Helping Your Child Thrive, to coaches about Emotional Intelligence in Coaching and Being a Coach of Impact, to parents and coaches together about Establishing Trust in the Coach-Parent Relationship and to club leadership about Improving Club Culture. I frequently write for and oversee the blog for SoccerParenting.com where we are driving our messaging and mission via social media and our newsletter, and I host the annual Soccer Parenting Summit, a virtual gathering of thousands of parents, coaches, leaders and experts. Parents being more engaged (in the right ways! ), connected, and educated will lead to an improved youth soccer environment where our coaches will impact lives, our parents will be less stressed, our sidelines will be calmer, and our players will be inspired. I know Challenger Sports values and appreciates the important role parents play in the soccer development of their child and I appreciate all Challenger is doing to help children develop a love for the game through their camps, work with clubs, tournaments and global travel programs. If there is anything I can do to help you help your child, please do not hesitate in reaching out!